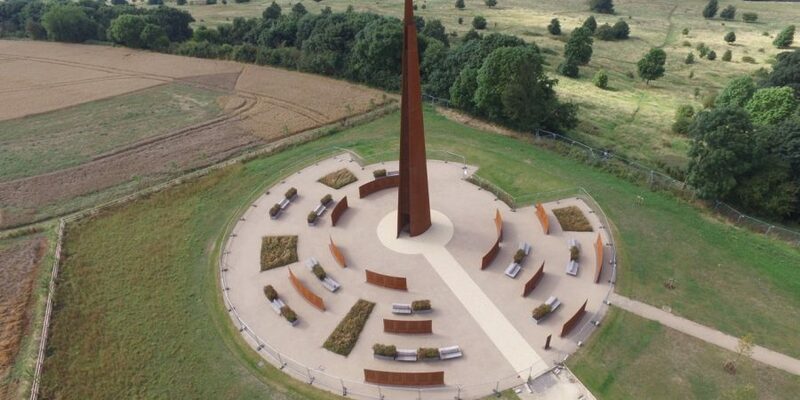 The International Bomber Command Centre (IBCC) in Lincoln is a world-class facility to serve as a point for recognition, remembrance and reconciliation for Bomber Command. The Centre provides the most comprehensive record of the Command in the world, and the IBCC ensures that generations to come can learn of their vital role in protecting the freedom enjoyed today. The IBCC has become a popular destination for visitors with excellent feedback about experiencing the innovative visitor centre and Memorial. Many visitors are travelling from outside the county, and the Centre is also sought after as a venue for receptions and conferences. The IBCC has developed a sophisticated Digital Archive with an extensive repository of personal stories of those who served and suffered during WWII. This archive includes personal memorabilia and one of the biggest collections of eyewitness testimonies. It has been created as part of the overall project to ensure that the story of the Command and the bombing campaign is preserved in perpetuity. The Digital Archive is preserving documents, from all over the world, including log books, photographs, letters and service citations. The archive also contains oral histories of those involved, from all sides, ensuring that their first-hand experiences are preserved.